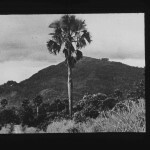 Photos of Santrokofi predating the 1950s are rare. This gallery lists some of them. A photo from the Staatsarchiv Bremen in Germany (no. 7,1025,1889): Rev. 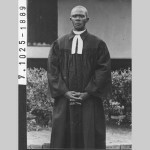 Godwin Agbodza, born in Santrokofi, ordinated in 1947. 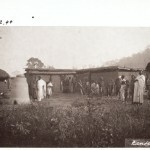 Santrokofi in 1911. Photographer: Rudolph Fisch. Archive: Basel Mission, Switzerland. Archive number #D-30.52.044. am so proud an so thankful to all those who developed this web site.i salute u all.there more intresting things that can b posted here.lets developed this site. this website is to let all sancos bal33bi to support .eg schools,town development ,water ,and the ongoing orphanage project . Please can we donate to help the project completed. Let us who call our self “enlightened” balee in various capabilitied, especially Benua keep the Chiefs and opinion leaders on their toes by putting measures in place without compassion that will bring a one time solution to issues that tarnish and degrade the image of all ‘banua’ citizens. Ooops, Santrokofi now consist of three towns with the recent formal inauguration of Batsorna Obetsah township. Whereas the people of Batsorna indigenously posses a peculiar cultural heritage that worth local and international hearing. “our Sanko” is being projected, good job!